Recent changes in the regulation of legal practices means it is essential that you review and make any necessary changes or enhancements to your existing compliance procedures, and the way you conduct your work. At Cherrington Consulting we want to save you time so you can focus on what is important – your clients and the future planning and development of your practice. Our Compliance Reviews are designed to highlight any areas for review and then put into action the necessary compliance requirements. Regulatory visits from the SRA can involve considerable time in preparation and additional resources - even if they are a matter of routine. 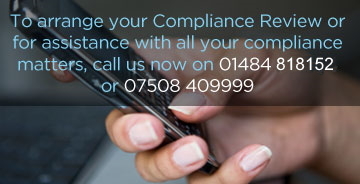 If you require assistance in preparing for a regulatory visit then contact us to see how we can help.